Saturday was the cerimonial start for the 34th Iditarod sled dog race. 1150 miles to Nome. Downtown Anchorage was packed. 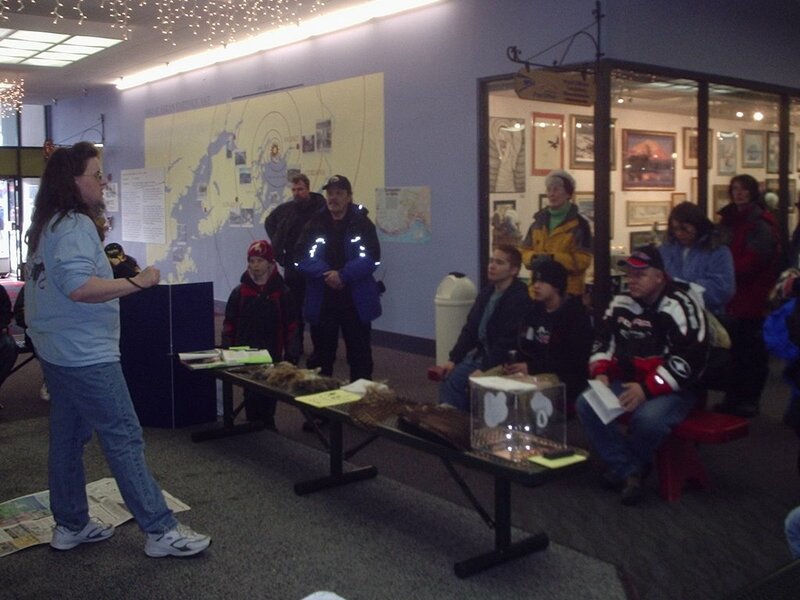 It was a perfect time for our Saturday presentations at the Ship Creek Center. It was full of race fans, tourist, carnival goers and just people checking things out. The weather was a little warm, about +31°F and the sun was out the whole time. 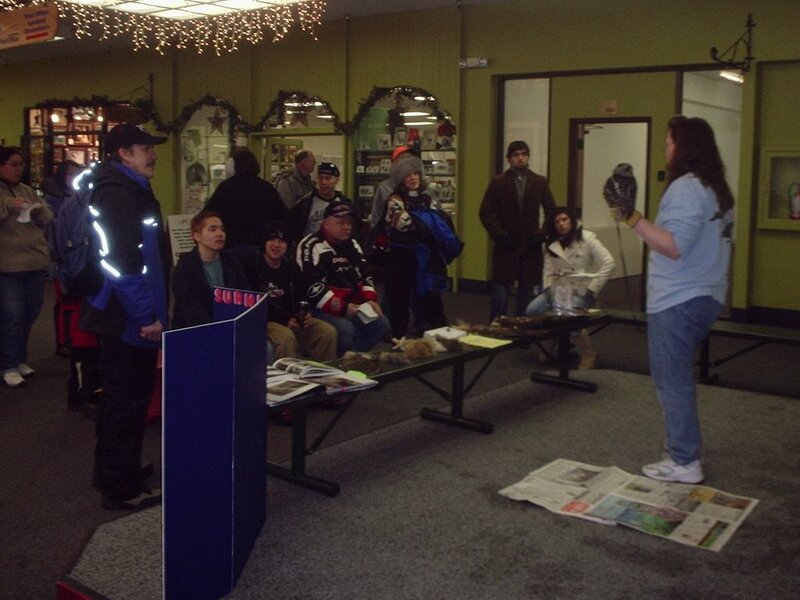 Ruth presented the northern hawk owl she also caretakes. The crowd was large and constant for about 3 hours. We meet people from all over. They had lots of questions and took lots of pictures. 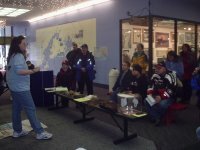 If you want to follow the Iditarod, visit the Anchorage Daily News for daily updates. KTUU Channel 2 in Anchorage has an excellent website set up to follow the race.